Majestic Cape https://www.review-australia.com/asia/majestic-cape-coat-powder/RE19JK063.REWHT017.html Drape this Majestic Cape over any outfit for a magical autumn wonderland look. 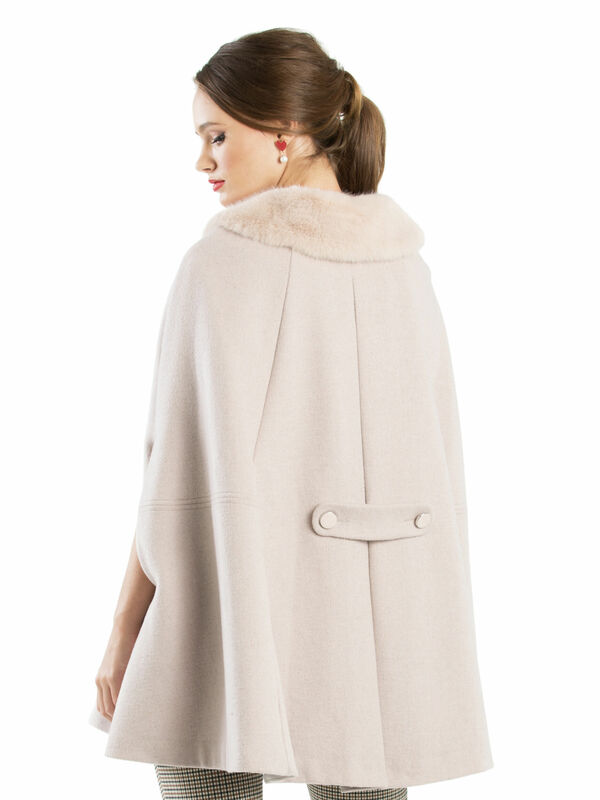 The powder pink wool blend cape is adorned with a super soft faux-fur collar, from which hang two adorable pom-poms, and lined with silky material for a luxurious finish. It fastens at the front with large glassy buttons, while subtle slits in each side allow arms to poke through arms, turning this cape into a jacket, if your heart desires.